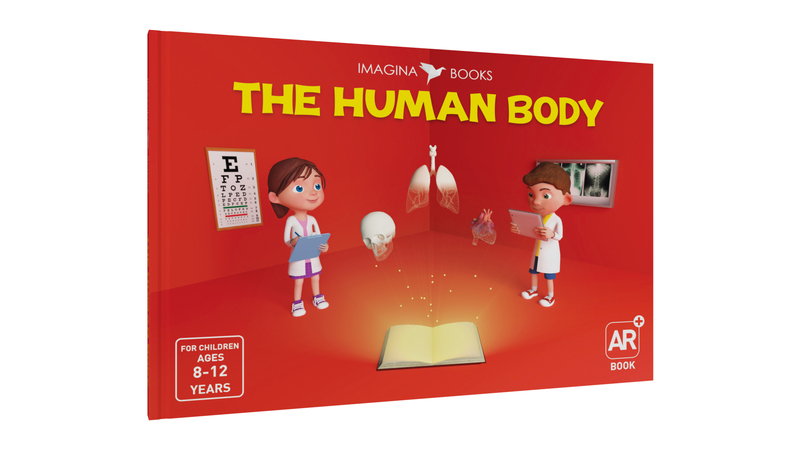 Imagina is a series of books that started with The Human Body, a biology book designed to deliver knowledge using a simplified conversation between two fictional cartoon characters (Sarah and Adam). 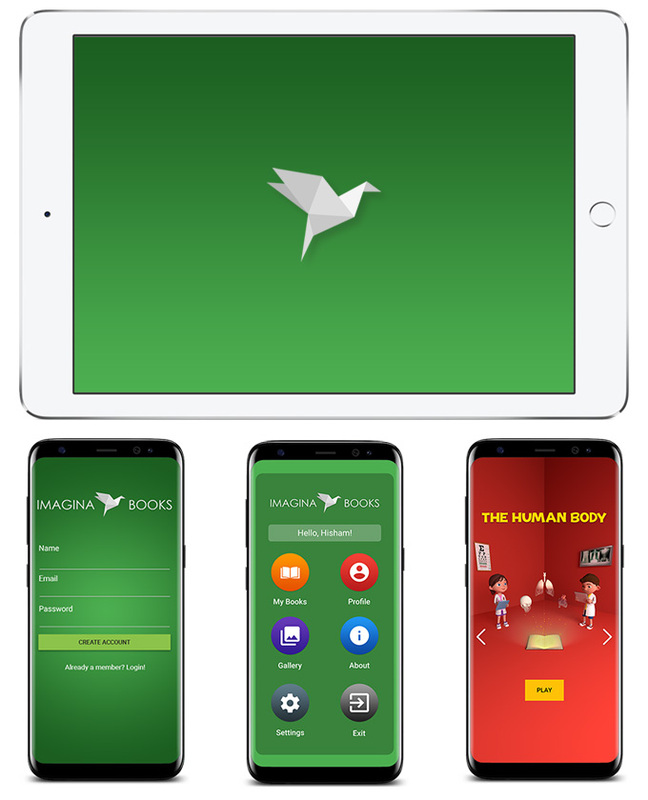 The book is accompanied by an application, downloadable through the Apple and Play store. 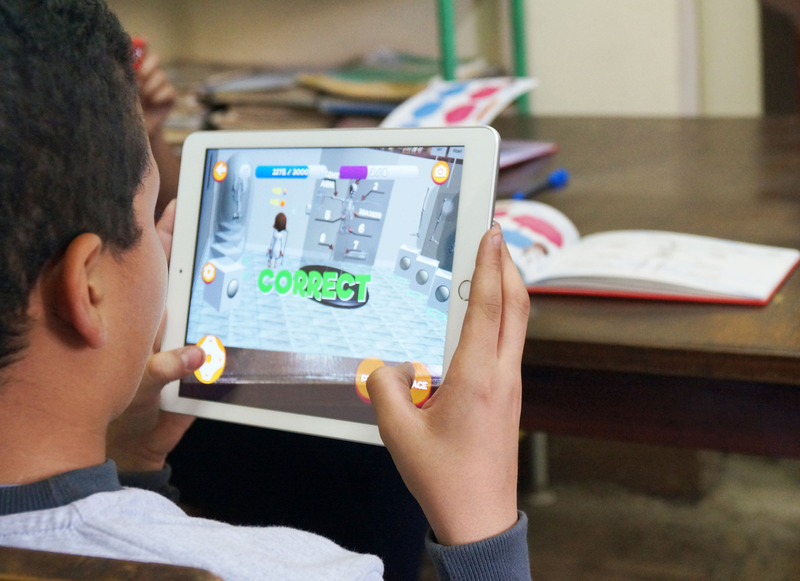 By using the app, the technique of learning with AR Technology is expanded. 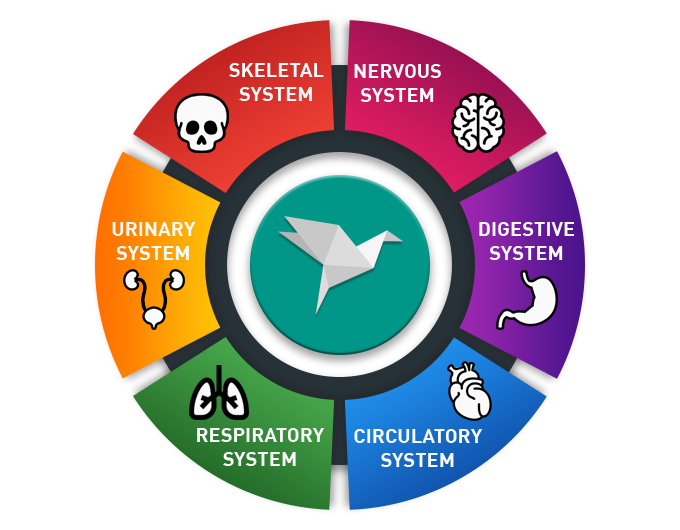 The app uses a gamified educational experience with realistic 3D models accompanied by 15 different animations and Voice-overs; it explains to the child the functionality of each organ and system. In addition, 3D Games grab the child’s while his understanding is being assessed throughout the process. This combination uses 3 different senses to deliver the content while the child is occupied playing a game. 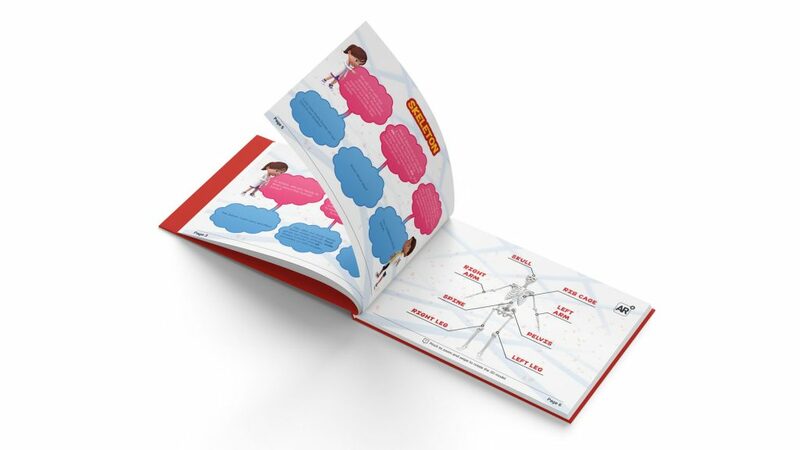 On the printing side, we wanted a book that your children will be excited to add to their library.So, we made sure that the printing and the quality are elegant, colorful and attractive. The book will be a hardcover book that will look lovely beside the rest of the series. 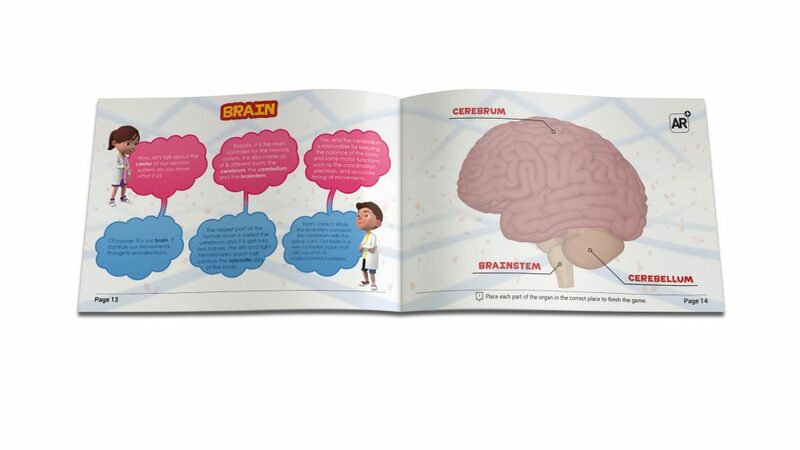 Our main focus while designing the book was two things; making sure that the book was attractive to children, and that it has a substantial amount of science on its own without the application. Why? Because in the digital age, printed books are almost forgotten and neglected. But we’re embracing it and giving it a technological kick with the AR app. 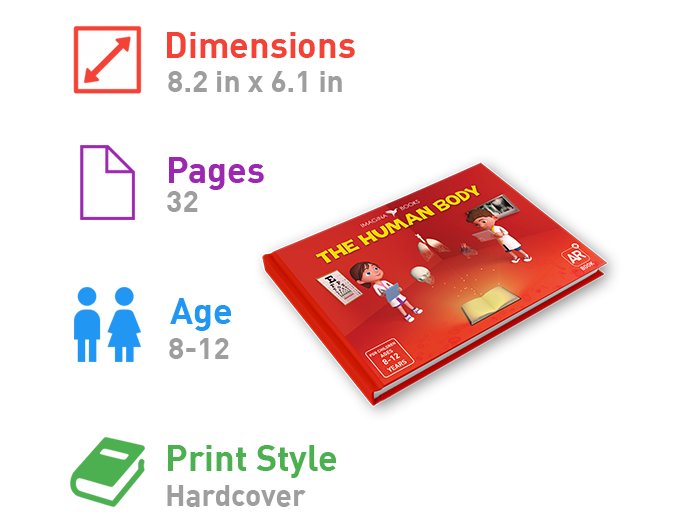 The design of the book took a lot of iterations to get to what we have now. 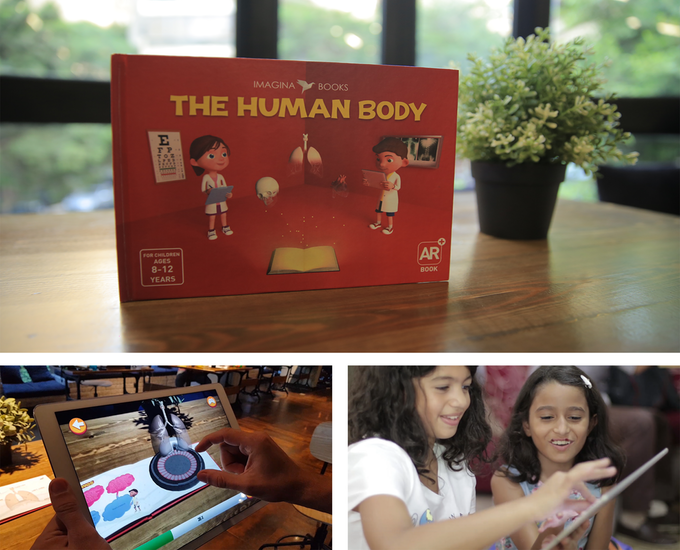 The book was designed from the ground up to be an augmented reality book. 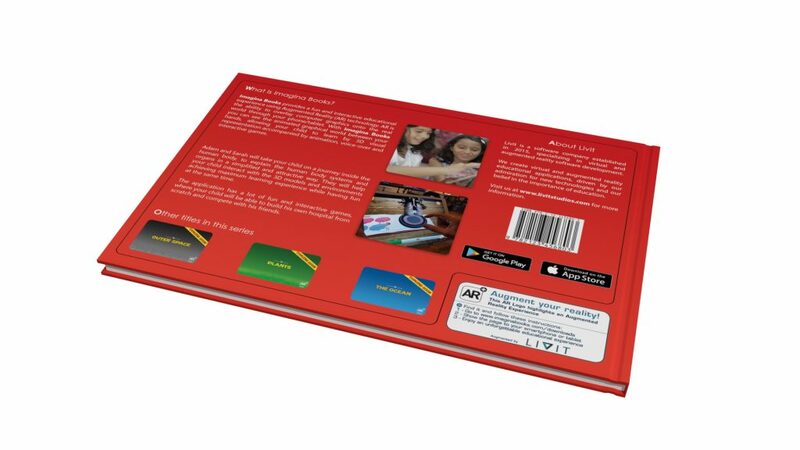 The final book came out in the shape that will serve our goal; a carefully designed hardcover book that shows what the future of books and education can be when efficiently using technology. Educational Content Based-on Schools Curriculum. 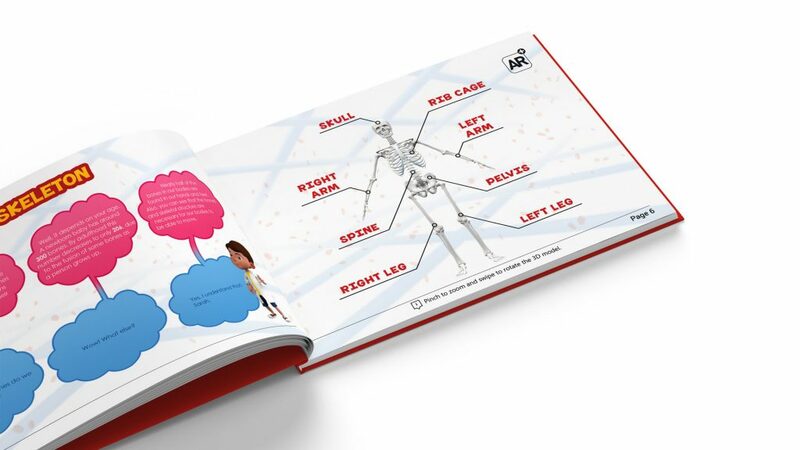 The Book & the App covers 6 Human Body Systems. They include 15 different Organ and system. 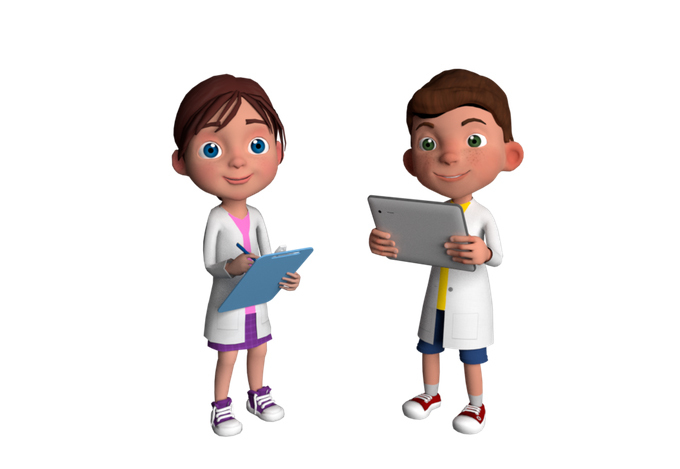 To make the experience more friendly and welcoming to the children, we introduced two friendly animated characters, Sarah and Adam, who take the learner on a journey to explore their body. Help your kids to assess their understanding. Copyright © 2019 Imagina Books. All rights reserved.